Coherent masses of plasma and their associated magnetic fields are known as plasmoids. Within the Earth's protective shield in space – the magnetosphere – plasmoids are commonly generated by a poorly understood process called magnetic reconnection. This is an explosive reconfiguration of magnetic field lines that can take place wherever there is plasma present, in particular when plasmas are forced together. When this happens in our magnetosphere, charged particles are accelerated into the top of the atmosphere – causing the aurora, or northern lights. A huge amount of material is also ejected away from the Earth as plasmoids. However, it isn't easy to create plasmoids on Earth. Many of the demonstrations that we can do (unlike the ones in space) produce structures which quickly expand and dissipate in the air. The solution to this problem is to use magnets – their fields can contain the hot plasma. However, blaster bolts are projectiles so it's not possible to have an externally powered magnet present at all times during their rapid journey. Thankfully, though, there is a solution. As plasmas are highly conductive, it is possible to set up electrical currents within the plasmoid itself. These currents, like all currents, generate magnetic fields that can confine the plasma. Such arrangements are known as spheromaks and they have received renewed interest in plasma physics experiments over the last 20 years. One way to create a spheromak is to use a "plasma railgun", a device which uses an external magnet to induce currents in the plasma as well accelerate it up to high speeds. In fact, speeds of 200 km/s have been achieved with these spheromaks lasting some hundreds of microseconds. This is very impressive and certainly within the realms of use as a weapon. Indeed, from the 1970s onward, the SHIVA Star programme (named after the multi-limbed Hindu god) at the Air Force Research Laboratory in Albuquerque, New Mexico, conducted various "arms" of research into this kind of plasma physics. One of these, known as MARAUDER (magnetically accelerated ring to achieve ultrahigh directed energy and radiation), was one of several US government efforts to develop projectiles based on plasmas. But how would these real life blaster weapons fare against the other iconic Star Wars weapon, the lightsaber? A blaster bolt is essentially equivalent to a lightsaber blade, just without the hilt. But as I've mentioned before, magnetic reconnection is unavoidable when two magnetically confined plasmas meet. This is the case when two lightsabers collide, causing explosive destruction of both the weapons and the people holding them. 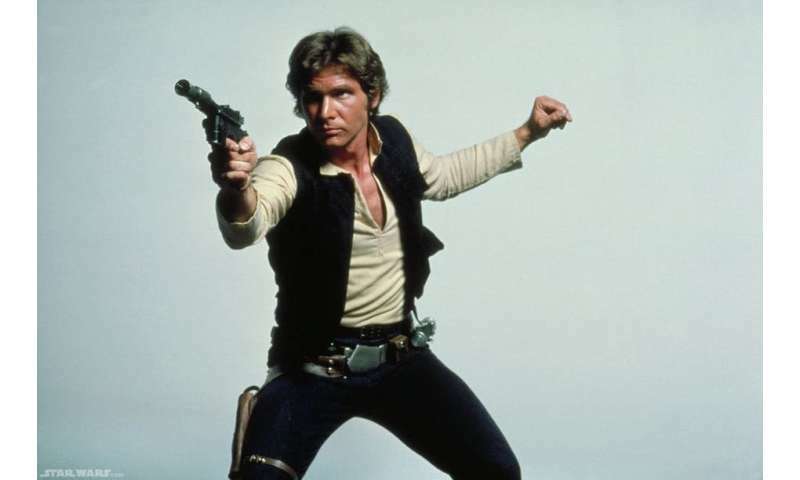 However, with a blaster you are far away from that explosion – leaving you totally unscathed. 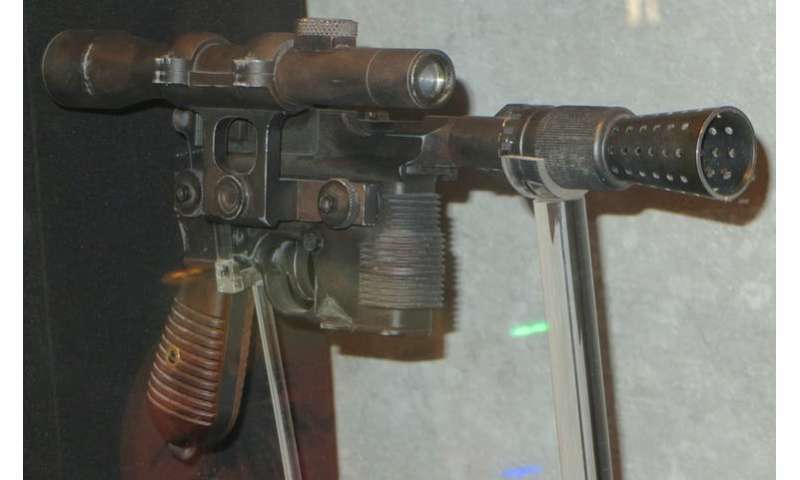 So it turns out that Han Solo was right when he said "Hokey religions and ancient weapons are no match for a good blaster at your side." "People who think physics is boring couldn't be more wrong." If it's boring to them, then they're not wrong. There is no objective measure of "boring".